↑ "Commissioner – BBMP". Bruhat Bengaluru Mahanagara Palike. สืบค้นเมื่อ 5 October 2012. ↑ Ramachandra T. V.; Uttam Kumar (Jan 2010). "Greater Bangalore: Emerging Urban Heat Island". GIS Development. สืบค้นเมื่อ 25 January 2012. ↑ "Demographia World Urban Areas PDF (March 2013)" (PDF). Demographia. สืบค้นเมื่อ 24 November 2013. ↑ Swaminathan, Jayashankar M. (2009). Indian Economic Superpower: Fiction Or Future?. Volume 2 of World Scientific series on 21st century business, ISSN 1793-5660. World Scientific. p. 20. ISBN 9789812814661. ↑ Canton, Naomi (6 December 2012). "How the 'Silicon Valley of India' is bridging the digital divide". CNN. สืบค้นเมื่อ December 6, 2012. ↑ RAI, SARITHA (20 March 2006). "Is the Next Silicon Valley Taking Root in Bangalore?". New York Times. สืบค้นเมื่อ March 20, 2006. ↑ Vaidyanathan, Rajini (5 November 2012). "Can the 'American Dream' be reversed in India?". BBC World News. สืบค้นเมื่อ 5 November 2012. ↑ "Bangalore among the top 10 preferred entrepreneurial locations". The Economic Times. 12 April 2012. ↑ "Bengaluru Climatological Table 1971-200". Indian Meteorological Department. สืบค้นเมื่อ 30 September 2012. ↑ "Bangalore Climate Normals 1971–1990". National Oceanic and Atmospheric Administration. สืบค้นเมื่อ December 24, 2012. 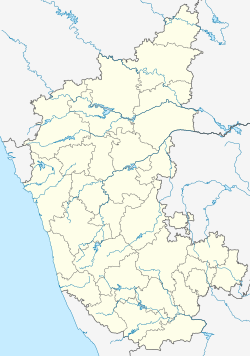 ↑ "Climatological information for Bangalore, India". Hong Kong Observatory. สืบค้นเมื่อ 4 May 2011. ↑ "The official visit of the Republic of Belarus parliamentary delegation to the Republic of India is over". Website of the National Assembly of Belarus. สืบค้นเมื่อ 10 March 2008. ↑ "Bangalore, San Francisco now 'sister cities'". Deccan Herald. India. 10 November 2010. สืบค้นเมื่อ 26 October 2011. ↑ "Sister Cities International (SCI)". Sister-cities.org. สืบค้นเมื่อ 2013-04-21. หน้านี้แก้ไขล่าสุดเมื่อวันที่ 29 มิถุนายน 2561 เวลา 11:40 น.